However, it may take you 2-5 working days to get Vietnam Visa at Vietnam Embassy in Canada. Visa on arrival – the visa picked up at arrival airport – is offered to all of those who are the Canadian passport holders. This kind of method is created to make the Canadian trip to Vietnam simpler and more economical. It is applicable for those travelling by air to Vietnam. Visa on arrival is a special advantage for those who live far from the Vietnam Embassy/Consulate in Canada. The applicants neither have to go to the Embassy nor have to send out the passport. By using this way of getting Vietnam Visa, a Canadian only needs at least 2 days for normal processing and 1 day for urgent processing (or only 4 working hours for super urgent service – see Super Urgent Service) to get a pre-approval letter issued by Vietnam Immigration Department which is an official permission of getting visa upon arrival. You go online at www.gettingvietnamvisa.com, fill in the secure form, make service payment, and just wait for 2 working days (normal service) or within 1 working day (urgent service) to get your Visa Approval Letter issued by Vietnam Immigration Department via email. Before applying for Vietnam visa, a Canadian has to make sure that his/her passport has minimum 6 month validity and left pages. 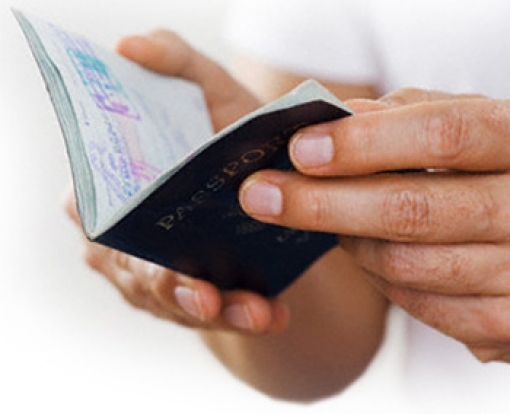 Visa on arrival option is ONLY applicable for Canadians traveling by air to Vietnam. Service fee needs to be paid in full in advance to process the visa approval letter in 1 working day (urgent service) or 2 working days (normal service) and 4 working hours (super urgent service).